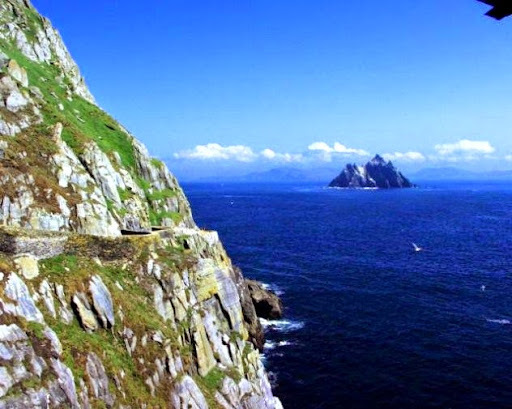 Skellig Michael most recently made the news as one of the filming locations for Star Wars, but it's been a beautiful, remote, and integral part of Irish culture for centuries. The site of a monastic settlement, it was chosen by the monks because of its inaccessibility and difficult terrain, something that hasn't changed since its establishment sometime between the sixth and eighth centuries. It is now a World Heritage site. Visit Greater Skellig's website and you will be greeted with a safety video for visitors. It stresses that there are 600 ancient steps that wind their way up the side of the mountain, and there are absolutely no safety features whatsoever. There's also no food or water, visitor centers, toilets, or shelter. Getting to the island means an hour-long boat ride across potentially troublesome open ocean, and it's not uncommon for landing on the island to become impossible because of high waves and choppy water. The area is particularly prone to falling rocks, but that's not the only problem. The stone stairs, more than 1,000 years old, are rough, uneven, and meandering. Two deaths only months apart in 2009 sparked a review of the safety conditions on the island. It was determined that the addition of railings would not only destroy the natural beauty and authenticity of the site, but also, according to the Irish Office of Public Works, the presence of a railing would do nothing but lure people into becoming complacent with "a false sense of security." In spite of public outcry, the only real safety measures taken include signage and a handout that specifies the dangers of slippery, wet stairs, falling rocks, a steep climb, and a reminder to be courteous to others sharing the potentially deadly pathway with you.